In January, I put up a long review of the newest version of YNAB, being fairly disappointed in how it stacked up to other alternatives I was using at the time, like Mvelopes. Knowing how to create a budget was a good start, but I needed the right tool to help me make my plan a reality. I then moved away from Mvelopes to an off-line spreadsheet system, having mastered the idea and process behind envelope budgeting. Recently, I started to miss some of the features that made Mvelopes great, including the ability to see history and reports with ease. With YNAB 3.0’s beta period over and excellent updates being put out on a regular basis, I decided to give YNAB another look. I had already purchased a license with my first review, so there was nothing much to it except downloading the newest version. Performance Issues: I originally considered the program sluggish and slow to respond. It looks like the load times have improved significantly, and the software designers have done a good job at having well-placed “transitional” screens that show up when switching modules. These pass the time when loading. Lack of a baseline budget. Unfortunately, this is still an issue that hasn’t been addressed. 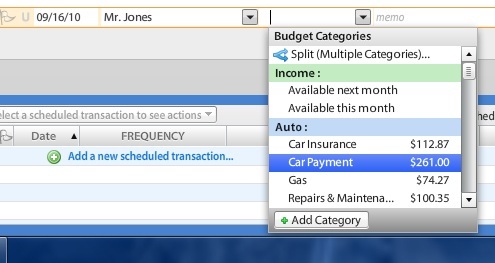 However, I’ve created work-arounds in the software by using future months to plan for income-to-expense balance. Disconnect between budgets and transactions. The latest YNAB update shows my envelope balances when selecting envelopes in the register! That’s exactly the link I was missing to connect the transaction screen to the budget, and one of the main concerns I had during my original review. Transaction focus. This hasn’t changed since my last report (YNAB is still driven on inflows-outflows, rather than balances), but I’ve learned to live with it. In some instances, it’s made a positive difference in the way negative balances roll over from one month to the next. Force of habit, I guess. Manual import. Yes, you still have to download your transactions form the bank manually. But as I got used to doing this with my spreadsheet anyway, it no longer seems like such a big deal. As long as I stay up-to-date on receipts, there’s really no need to sync because my balance’s always accurate. YNAB could always compete, but at the time of my first review, I strongly preferred Mvelopes. These days, after having gone through a few other envelope budgeting systems, I can honestly say that I would recommend YNAB to a friend. While we’re currently back to using Mvelopes, I encourage you to try envelope budgeting and the various tools available to you, including YNAB! It’s changed the way we handle money for life. Update: As of 2012, we’re back to using YNAB for our budget. Read my latest review of Mvelopes to find out why. Previous Post Weigh In: Is a 10% Tip Acceptable? Thanks for the great review. I’ve been tossing the program around in my head for a bit, and finally downloaded the trial the other day to test it out. From what I’ve seen, I think it’ll be what I end up with. Great review! Thanks. A showstopper for me is that you cannot automatically download transactions into YNAB. I’ve asked my bank if downloading of transactions was available but unfortunately it is not. Only direct connect Quicken type download. YNAB says that implementing that kind of functionality costs mega-bucks, so they have shied away from it to keep the software price accessible. I can understand that…but yes, it’s gonna turn a lot of people off. We’ve gotten used to really spending consciously, so having to punch in receipts is actually a positive for me. But a year ago, I wouldn’t have had the patience for it. For those who are in the Android world or are looking for an in-the-cloud envelope budgeting solution with native app support, you might consider the Easy Envelope Budget Aid (EEBA for short). It’s a free Android app/website service. 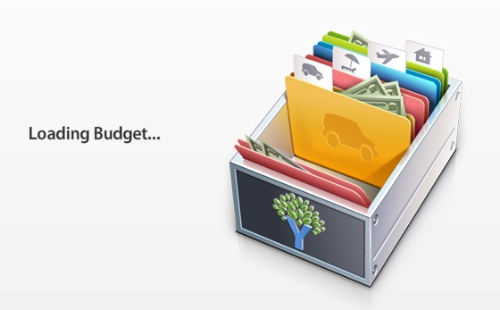 It’s based on envelope budgeting or zero-based budgeting, much like YNAB. An advantage over YNAB is that it syncs everything automatically between multiple phones and the website and can be used with or without a cell signal. So, instead of needing to sync back to a desktop app over Wi-Fi, transactions show up immediately (or with a few second delay) on the website and on your spouse/partner’s Android phone. EEBA doesn’t automatically download data from bank accounts but it does tie in to accounts so users can track account balances as they spend. EEBA has much of the goodness of YNAB in being, at its core, organized around budgeting, being able to carry over budget balances from month-to-month etc. There’s a free version and upgrades start at as little as $3/month. All versions (including the free one) offer a reporting function. Give us a try and let us know what you think! I don’t typically post self-promotional comments, but I checked out this product and it shows a lot of promise. Definitely will be looking at this in more detail soon. I have been using EEBA for a couple of months now and it’s great. It takes a little bit to get the hang of it, but they are improving it all of the time and now I can’t live without it. I *love* that my husband and I can each see our budget and enter transactions on our phones. It never “hangs” up and is a super simple all to use. I have YNAB 2.9 and I just wasn’t super crazy about it. I was trying to decide if I should upgrade to 3, but I think I am gonna stick with EEBA and my spreadsheet. Mvelopes is nice, but over-complicates things a little much. I’ve heard good things about it, though you’ll obviously need to pay for the phone to take advantage of the features! But if you already have it, I think it’s a good deal. Thanks for sharing! Thank you Don! I haven’t use either one with a phone, but the ability to log into Mvelopes from any location is definitely a plus for me. So YNAB allows you to download your transactions from your bank and credit accounts, but you must do so manually (as opposed to automatically with Mvelopes)? But you have to type in receipts from other transactions, such as cash purchases? Is this correct? After you download bank or credit transactions, does YNAB automatically sort them into your various spending categories? Your example, if I spent $100 at Costco, would YNAB deduct food items from my grocery envelope and clothing items from my clothing envelope? Yes, from what I remember you can do automatic categorization. My biggest problem with the automatic downloads was that I would screw something up almost every time–a transaction off here, an incorrect match there. I ended up spending 25% of the time importing and 75% trying to find where I made an error. All things considered, I found Mvelopes to be much more forgiving because it’s easy to see if I’m matching correctly and whether the balances align. I’m a numbers guy, but YNAB was just too much like an accounting program for me. I just started YNAB…..not loving it. I am coming off my own excel budget that has done me wonders!! Helped me pay off debt, but now I am into saving and I thought It would be better to categorize my expenses. I loved the concept of living off the previous months budget, but I am the type that if I have a dollar in my pocket I can think of a million ways to spend it but I did not like how I actually spent MORE than I usually did just because it was in the account. I also do not like how the next months expenses are almost a guessing game, scares me even more than before………now I am always wondering will I have it next month? Truly enjoyed reading your reviews. I’m about to take the plunge and purchase one of these two great financial software pkgs…. I’m trying YNAB now and I agree with a lot of your assessments – both good and bad. But here’s where I struggle with Mevlopes. I’m a bit nervous about having all of my “business” out there on some “cloud” however, I really like the idea of being able access my budget and all of the real-time updates that are happening when my wife and I are making everyday purchases. I think I can get over my fears (convincing her is another thing). So here’s what’s unclear to me about Mvelopes that I know YNAB does and does very well. It forces you to zero budget so that if you overspend in a category for example YNAB carries that negative amount into next month’s budget – subtracting it from next month’s available amount. Does Mevelope’s have this same logic? I want to make it more difficult for us to “cheat” so we stick to the plan as much as possible. Troy–in a way, yes. However, Mvelopes operates more on an envelope-by-envelope basis rather than a month-to-month basis, which made more sense to my left brain. In other words, envelopes don’t reset at the end of the month to $0. If you go negative anywhere, you have to find a way to make it up. I hope that makes sense! Sort of yes…. so how do you base your “funding” decisions of each envelope? There must be some time frame right? If not monthly then when? For example let’s say I budgeted $500 for groceries this month but I went over by $100. What happens to that envelope in April? In YNAB, the groceries would be $400 (subtracting the $100 I over spent in March) – assuming I didn’t reallocate funds from other categories in March. Also I assume you still prefer Mvelopes to YNAB3? Yes, monthly. I’m just saying that envelopes roll over from month to month. So in your example, you would start April with -$100 in that envelope. You could then fund your regular $400 and you’d have $300. In YNAB, depending on how you have your carry-over set up, you could either start with -$100 or all the envelopes reset and you would start with $0. YNAB has the option to do it either way. Your last question–yes, I’ve tried both for extended periods and we’re back to Mvelopes for the last 6 months. I just couldn’t wrap my head around some of the math YNAB had me doing (and I like numbers). But I STRONGLY encourage you to try both and see what you like. Yeah, same here Wojo! I’m finding that I’m spending waaay too much time in YNAB trying to figure out how to make the math work for various situations that I don’t think are all that unique like business expenses. I think you’re right about trying BOTH out before making the final decision. Thanks for answering my questions. I’ll be sure to let you know my impressions of the software and of course which one I (Oops we) ultimately decide to use. Is it true I can only do 15 transactions per month and then more charges start? If so does all the payments I now do on Bank of America count as one transaction and when collected, is it divided up into all the correct categories? Does Bank of America work well with Mvelopes? Is it a good idea to keep my B of A going as is, or go totally with Mvelopes? Last Q, I am worried about putting it all out there. Can you address the security, history, and safety issues of Mvelopes? Thank you for your info, found you on Youtube. If you’re referring to bill pay, then yes–you’re limited to 15 payments. I use my bank’s bill pay only 1-2 times a month and have never needed to use the Mvelopes bill pay, but your situation may be different. I think the payments you’re doing on BoA right now would all be separate transactions in Mvelopes. However, there’s no limit on how many of those you can have in Mvelopes. I would keep the BoA as-is. Mvelopes is simply another layer on top of your existing bank account and money system. I can’t comment on how well they work together, but I have Wachovia which is also a major bank, and it’s seamless. I would imagine you’d have the same experience. As for security, it’s a long-term debate as to whether it’s safe to put this information online. I feel very comfortable with Mvelopes, don’t know of any security issues that they’ve had, and you’re not required to store your passwords with them if you don’t want to. I do, and I’m not worried about it–even if someone got to it, it would be tough to do anything damaging before I found out. I hope I answered all your questions! Let me know if there’s anything else you’d like to know.